(Colorado Springs, Colo.) – USA Fencing will host three seminars and clinics during the Junior Olympic Championships Feb. 15-18 in Denver, Colorado. On the opening day of JOs, USOC Coaching Education Coordinator Aubrey Watts and Alyssa Shrader, a nutrition instructor at the University of Colorado – Colorado Springs, will hold seminars on cueing for performance and nutrition tips for optimizing performance. On Feb. 17, four-time Junior and Cadet World Team coach Sergey Danilov will offer a coaching clinic on giving private lessons. Coach members receive a discounted rate of $75 and other USA Fencing members may attend for $125. The fee for non-members is $150. Register here. More information on each seminar and clinic can be found below. For questions, contact USA Fencing Senior Manager of Coaching and Referee Education Sam Callan at s.callan@usafencing.org. Date and Time: Sunday, Feb. 17, 6-7:30 p.m. Cost: $75 for USA Fencing Coach members, $125 for all other USA Fencing members and $150 for non-USA Fencing members. Refunds are provided seven days prior to the event. Registration will be available online until the start of the event. Description: This épée coaching clinic will cover the key aspects of giving a private lesson. Private lessons are a significant part of training for épée fencers from the beginner to the competitive level. The clinic will cover the different types of lessons, the general concept of teaching action during the private lesson, and the order and progression of developing skills during the private lesson. The clinic will be a lecture/discussion format. No fencing equipment will be needed. 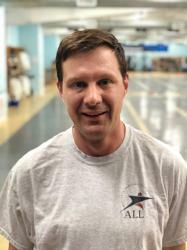 Presenter Bio: A four-time Junior and Cadet World Team coach who currently coaches at New York Fencing Academy, Danilov brings 14 years of coaching experience to share with participants. As a cadet fencer, Danilov was the Russian National Champion and was educated at the National University of Physical Education in St. Petersburg, Russia. Date and Time: Friday, Feb. 15, 4-5:30 p.m. Please come willing to move and participate in some activities. Presenter Bio: Watts has a master’s degree in sport management from Texas A&M University and is a Certified Strength and Conditioning Specialist (CSCS) through the National Strength and Conditioning Association (NSCA). She worked as a strength and conditioning coach with several sports before joining the USOC. Date and Time: Friday, Feb. 15, 6-7 p.m. Description: Learn how to enhance your fencer’s performance through proper fueling, recover and hydration strategies; tips for maintaining your nutrition plan while traveling; and how to build your daily meals to match your energy needs. 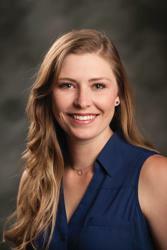 Presenter Bio: Shrader is a registered dietitian and certified specialist in sports dietetics from Colorado Springs, Colorado. Shrader earned her master’s degree in Sports Nutrition at the University of Colorado – Colorado Springs. She completed an internship with the United States Olympic Committee during her graduate work. Currently, Shrader is a nutrition instructor at the University of Colorado – Colorado Springs and continues to work with athletes as well.